“This film will not be released on Netflix. Due to an internal miscommunication, it appeared to be scheduled for release on Netflix, but it is not. We apologize for any confusion this has caused,” the Netflix spokesperson said. Netflix issued the statement after Fox News asked about a tweet sent by Farrakhan to promote the film. “My dear viewers and listeners, on August 1 you will be able to view the premiere on Netflix of the minister’s life journey through music. And, if you would like to leave a comment of what you think about that documentary, and its music, you can go to LCTWMusic.com and leave your comment. 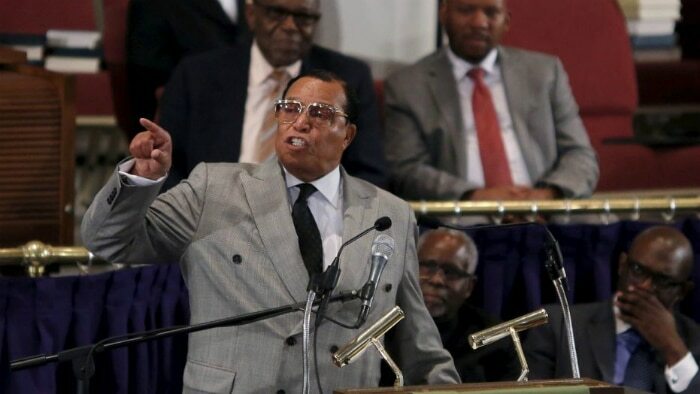 May God bless you — As-Salaam Alaikum,” Farrakhan said in a video posted to his Twitter account on Tuesday. Farrakhan announced on Twitter on Monday that the film, which he helped make, would be coming to the service in August. “On August 1, watch the premiere of my music documentary ‘My Life’s Journey Through Music’ on Netflix,” the Nation of Islam leader wrote. The film was also included last week on a list published by British site The Independent of movies coming to the UK version of Netflix in August.